We humans have been busy bees, rearranging the earth’s crust, building all sorts of things. It’s essentially a zero-sum game, a balancing act our planet has been very good at on its own before humans started interfering. Sustainability is the maintenance of this balance, and as designers of the built environment, architects must be sustainability stewards. We need to help separate the sales pitch from scientific facts, help people understand the consequences of climate change, and we need to influence public policy. Through our designs, we need to demonstrate sustainability in an honest manner. A few years ago, one of our students in a studio dubbed the Sustainable Skyscraper asked if sustainability was merely a passing architectural fad, and therefore was the analysis we had asked the students to do justified? 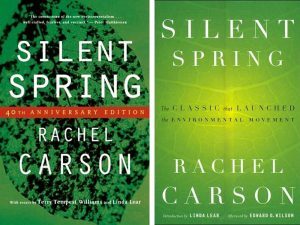 Recalling student days when we were all reading Rachel Cason’s Silent Spring, I answered that some of us have been waiting for this idea to catch on for a very long time, and I thought it was here to stay. I recently saw a guy wheeling a hand truck into a convenience store loaded with sundries, including a box of plastic flatware proudly labeled: “sustainable spoons.” C’mon, I said to myself, sustainable spoons? Now that the idea of sustainability has caught on, it’s being corrupted. I suppose if plastic degraded into some kind of fertilizer, a sustainable spoon might be possible. After all, life eventually becomes compost – one reason the earth is inhabited by living things. Most likely, however, some or all of the purportedly sustainable spoons will end up as part of the Texas-sized island of garbage floating around in the ocean. But then again, how sustainable is an ordinary metal spoon? Like its plastic counterpart, raw or recycled materials must be formed into shape, but to be reused, a metal spoon needs to be washed, which requires water, energy to heat the water, and chemicals, all of which are returned to the environment, and not quite as fertilizer. It’s like metal studs versus wood studs – which are more sustainable? Depends on how many factors are taken into account, and whose marketing pitch is more effective. In fact, now more than ever, the marketing pitch Trumps the facts. Just like the label on the box of spoons, the word sustainability has become hackneyed and oftentimes misleading. Las Vegas brags about LEED Platinum buildings while United Airlines touts its Eco-Skies program. There are even synthetic spoons that claim to be biodegradable – some even call themselves compostable. Take a look at the fine print and you will see that these utensils break down under elevated temperatures only found at industrial composting sites. In a way, these products are worse than those that simply make preposterous claims. Marketers found out many years ago that telling most of the story could be more effective that telling all of it. 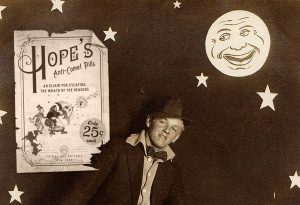 In 1910, you could buy “comet pills” to protect yourself from the effects of Haley’s Comet. That year, the earth would pass through the comet’s tail, a true scientific fact. The tail was mostly ammonia gas, also true, which is poisonous, true again. What the ads failed to disclose was that the density of the comet’s tail was rarer than the best vacuum that could be attained at the time, and ingesting a molecule or two of ammonia gas would be just fine. 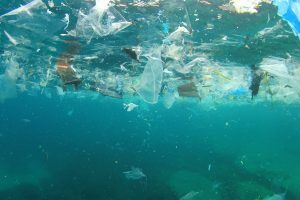 It did take a long time to catch on, but the idea that humans are able to create sustainable artifacts is indeed here to stay. Purveyors of today’s comet pills will take advantage of the meaning of the word as they blur the truth, but as designers of the largest artifacts on the planet, we architects need to be especially vigilant.